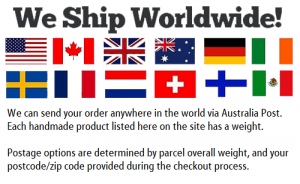 All of the products shown on this website have been designed and hand-made by me at my home workshop in Perth, Western Australia. 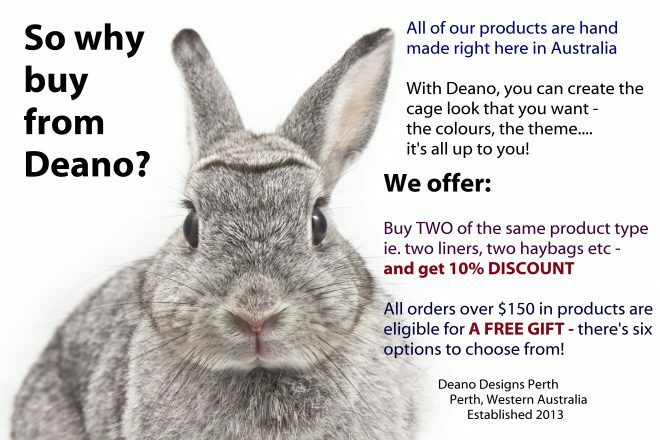 Deano Designs Perth was established and registered in 2013, and is owned/operated by myself. 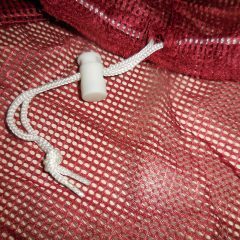 Over the past five years my handmade product list has grown to become the extensive range of high quality cage goodies that you’ll see here today. 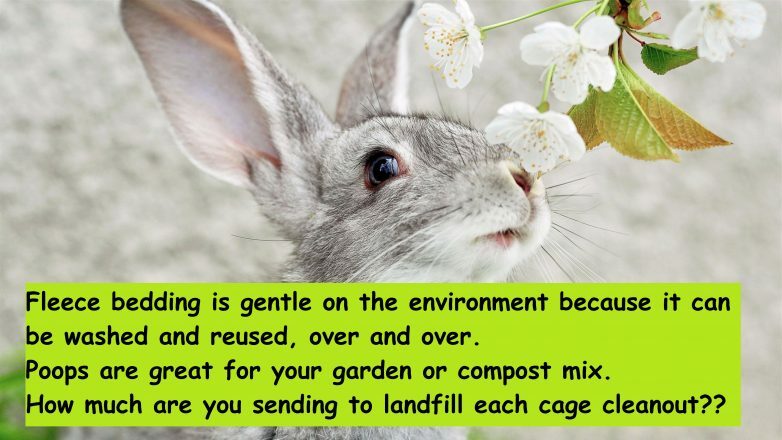 The products I make are suitable for Ferrets, Rabbits, Guinea Pigs and Rats. Native animals such as Possums, Gliders, and Joeys (Kangaroos) have also enjoyed my products thru rehabilitation facilities and carers using them. 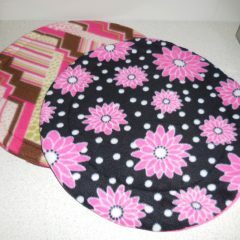 My products can be purchased here online thru the SHOP PAGE. As most of my business is ‘made-to-order’ I do not operate a retail ‘shop’ as such from my home. 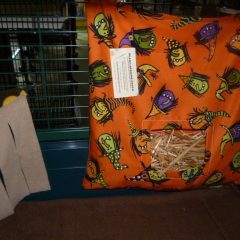 My most popular product is my Fleece Cage Liners – which I can custom make to fit your particular cage or hutch. Say goodbye to disposable bedding forever as all liners are machine washable and dryer safe! 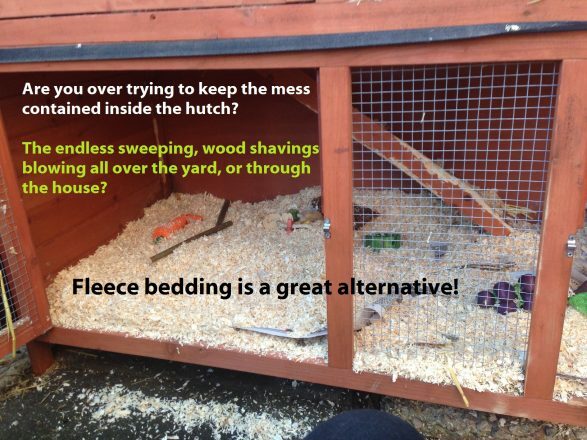 Fleece bedding in your hutch or cage can save you both time, and money! It’s cost effective, better for the environment and also much healthier for your pets overall well being. 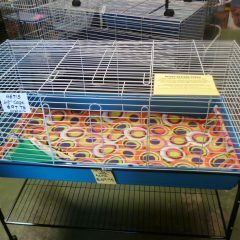 Not to mention with so many fun prints and colours, you can deck out your cage just how you want to! There’s no limit to colour schemes, themes – it’s all up to you! 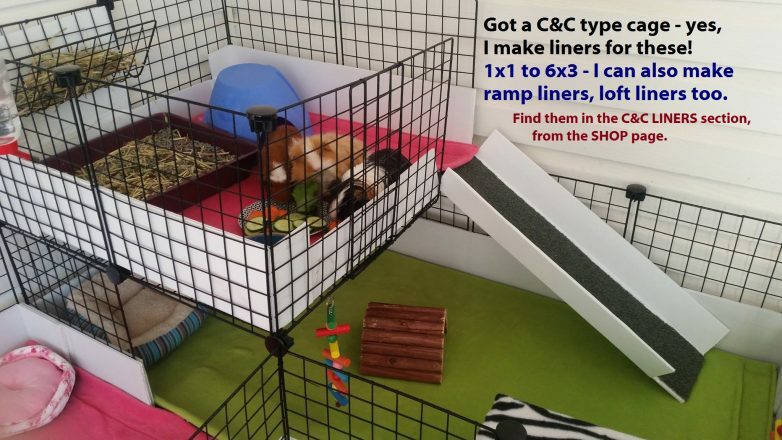 I specialize in creating custom sized liners to suit your particular cage, hutch or enclosure. So, come on in and browse around the website, you may find something just right for your furry friend. While you’re here, perhaps checkout our Facebook page (tab on right). We’re on Instagram too. 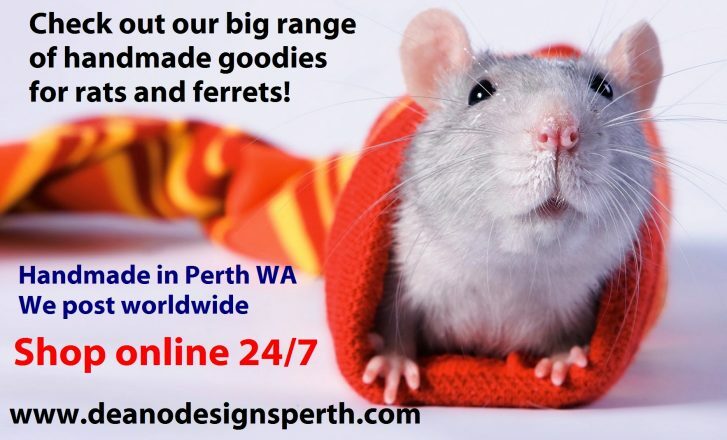 For those of you in Perth WA, there is one retail outlet stocking my quality readymade products. 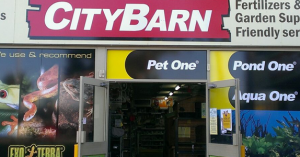 City Barn Malaga 1904 Beach Road in Malaga, carry a basic range of products including cuddle sacks, hammocks, fleece cage liners, hay holder bags, ferret tunnels, soaker pads, lap pads etc. They do not stock my whole range. Please Note: Retailers are under no obligation to offer discounts, or price match with my website pricing or special offers. They can set their own retail pricing on my products. Click on the link to go there: HOW TO ORDER, COMMON QUESTIONS, POSTAGE, FREE GIFT OFFER, RETAILERS, PLACING CUSTOM ORDERS, see the top menu in dark blue for more categories. 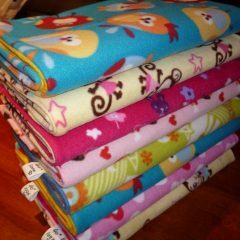 Each C&C Cage Fleece Liner is made uniquely to your order. So to order a Fleece Liner for your pet’s home, please select from the options below. 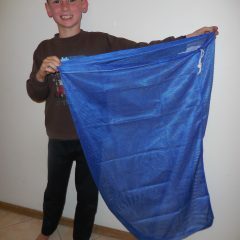 What Customers say about Deano Designs Perth..
A big thankyou to Robyn for all her help with my C&C cage liners. 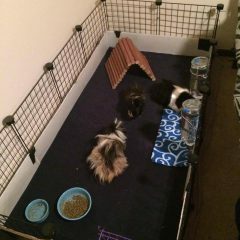 I built a really big two level cage for my seven piggies and it needed liners that were able to be changed and easily cleaned. Thanks for the cuddle sacks you made for our pigs Reuben and Miguel. They are very happy sleeping in them. 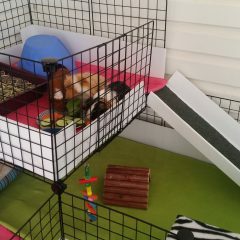 Thank you so much for my cage liners, cuddle sacks and hay holder. We have one very happy piggy. His name is Rolo. You did an amazing job and we are so happy with our purchase. 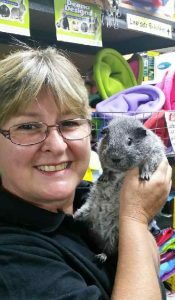 We will definitely be telling our friends who have guinea pigs about you and hopefully you will receive some orders from them too. Thank you once again. Deano Designs’ service has always been outstanding. 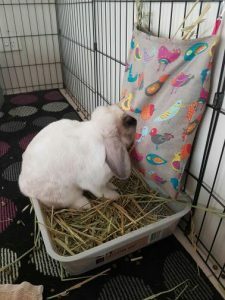 When I discovered the fleece cage liners a year ago, my cleaning time halved. They absorb all liquid, stay dry, are easy to brush hairs off & are odor free. I give them a quick shake off once a day and only have to do a full wash once every 2 or so months. I have two sets, which I swap every second day so I can air one out while the other is in use. 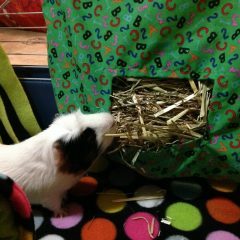 I also love the cuddle sacks as they keep my guinea pigs warm in winter & provide a hiding place. 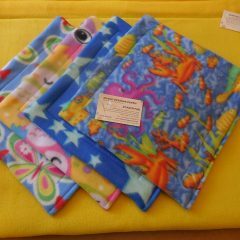 The products are all handmade and are of the highest quality. 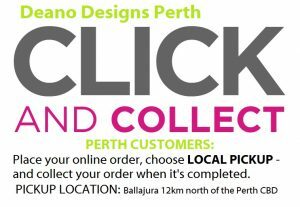 All products listed are my own designs and have been handmade by me at my home in Perth, Western Australia. I do not sell any products that have been manufactured or sourced from elsewhere. If you have a question for me regarding my range of products or how the site/order process works - please email me [email protected] - or use the 'Contact me' page for telephone details.